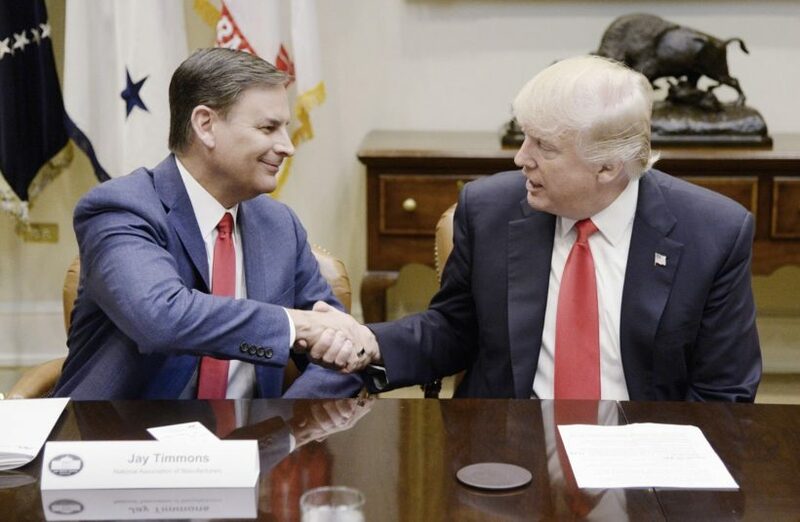 National Association of Manufacturers president Jay Timmons meets with President Trump and NAM members at the White House on March 31. The National Association of Manufacturers (NAM) is a manufacturing industrial trade association. For the past 20 years, NAM has surveyed its membership of more than 14,000 large and small manufacturers to gain insight into their economic outlook, hiring and investment decisions and business concerns. NAM releases these results to the public each quarter. Fresh off the heels of the third straight month of manufacturing job growth, the National Association of Manufacturers (NAM) today released the first Manufacturers’ Outlook Survey since President Donald Trump took office. The survey shows a dramatic shift in sentiment, with more than 93 percent of manufacturers feeling positive about their economic outlook. This is the highest in the survey’s 20-year history, up from 56.6 percent one year ago and 77.8 percent in December. 1. During the meeting with Trump, NAM head Timmons told the President the record optimism is due to: “…[your] focus on taxes, regulations, infrastructure investment. We appreciate your commitment to investment and job creation and manufacturing…” What type of bias does the media display by not reporting this story? Why do you think the media chose not to report a 20 year record high in optimism among manufacturers? CHALLENGE: Do an internet search to determine how many major media outlets reported on this positive news relating to President Trump’s policies. (ABC, CBS, NBC, CNN, PBS, Los Angeles Times, New York Times, Washington Post…) List your results. 1. Bias by story selection and omission.